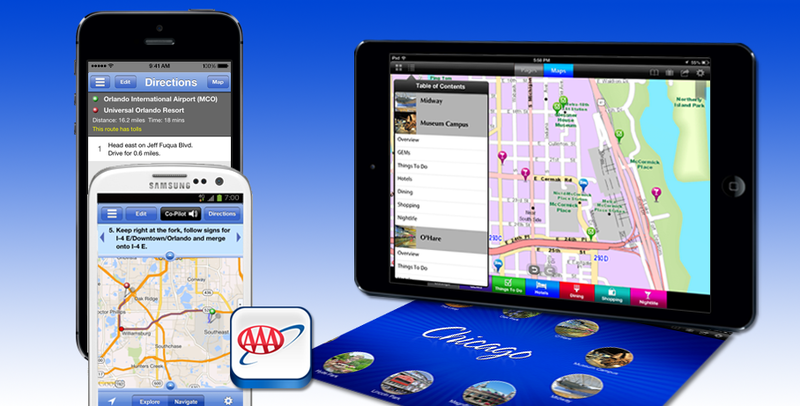 Plan a road trip online with AAA TripTik Travel Planner, and save your trips for use with the AAA Mobile app. Along with trip planning maps and traveling directions, you can find AAA Approved and Diamond Rated places to stay and dine. Use the booking feature to make hotel reservations. Find nearby gas stations and get updated fuel prices. Locate electric vehicle charging stations. Calculate your driving distance and save your trips for use with the AAA Mobile app. 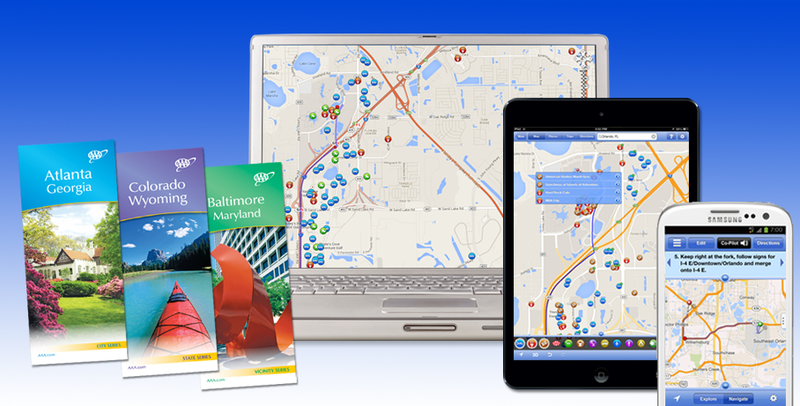 Complete your AAA travel package with printable maps from AAA Map Gallery on AAA.com. Map Gallery has full-color maps of more than 400 popular destination areas across North America from Miami Beach to British Columbia. If you're a member, stop by your local AAA office. AAA's team of knowledgeable travel professionals will create a TripTik Travel Planner routing for you, provide information on vacation packages, help you find the best travel deals and even help you rent a car for the trip.